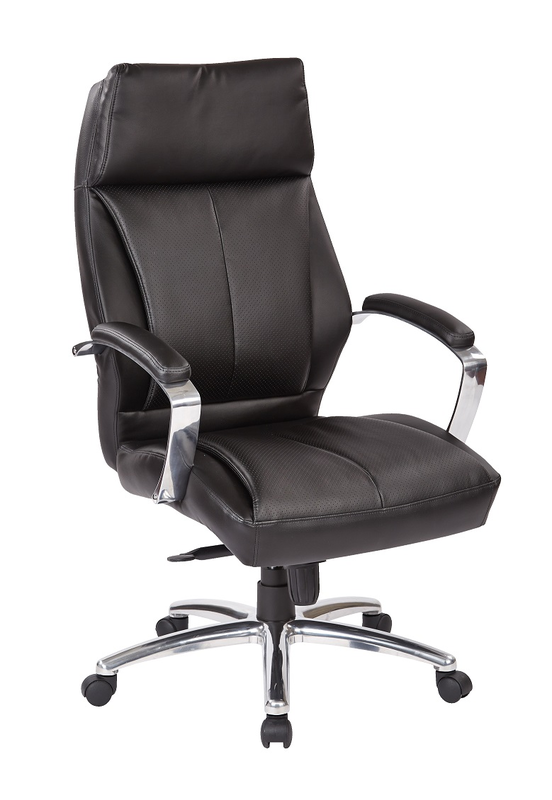 Never have you felt more like the captain of your own starship than when sitting in the Proline 2 Deluxe Mid-Back Executive Leather Chair. Your keyboard and computer become transformed into mission control and your telephone headpiece connects you with ships across the galaxy as you sit comfortably in your leather captain's chair. A contoured seat and back provide unmatched comfort with sizeable cushions to make sure your focus is on your work and not your aching back. Locking tilt control with adjustable tilt tension along with pneumatic seat height adjustment technology ensures that your comfort is placed above all else. Two cushioned armrests and a plush headrest allow you to lean back and take a moment for yourself at your desk in complete luxury. Designed with a sleek juxtaposition of aluminum and black leather, this is a regal addition to any office environment.